The Honeycomb with Bling Earrings are a wonderful compliment to the bracelet you find in the Bracelet kit section. They sparkle and shine on the ears and are quick and fun to make. 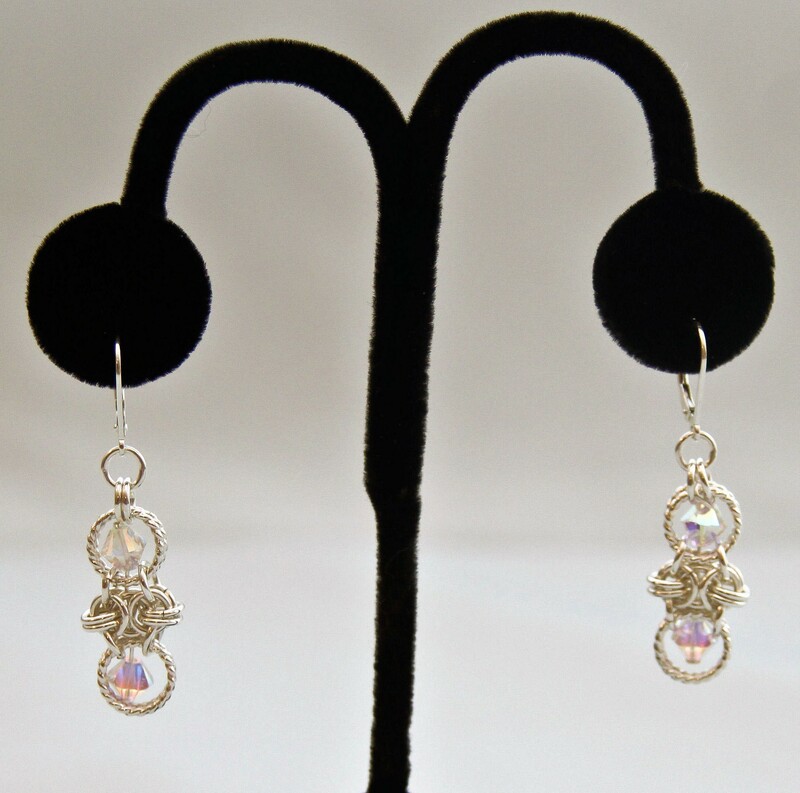 The crystals can be added to your order if you desire, and there will be two Swarovski Bicone Crystal 2AB as shown in the earrings in the picture. The leverback earring findings are included.